I thought it would be first important to take about the origin of Ropa Vieja. Many think it to come from Cuba but in all actuality it came from Spain’s Canary Islands. Ropa vieja originated in the Canary Islands (Spain), which were the last place ships from Spain would stop on the way to the Americas. They were also the first place that Spanish ships coming from the Americas would stop en route back to Spain. Due to this, Canarian culture is very similar to the Caribbean as well as Spain. This is how ropa vieja arrived in the islands; with the Canarian immigrants. The original version of ropa vieja contained leftovers, but later became a shredded meat dish with chickpeas and potatoes in the Canary Islands. I find this really interesting because well I find pirates astounding. The TV shows, the movies and the real stories of horror. Ships are also fascinating to me. To think if you were on a ship for months at a time and then you get to port to eat some ropa vieja. That must have been a joy for those sailors. It is definitely one of my favorite dishes from the Mediterranean region. They even have a story about ropa vieja. As the oldest story goes is a man whose family was coming to his home for dinner. Being very poor, the man could not buy them enough food when they came. To remedy his situation, he went to his closet, gathered some old clothes (ropa vieja) and imbued them with his love. When he cooked the clothes, his love for his family turned the clothes into a wonderful beef stew. How interesting what love can do right? 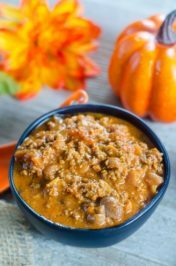 I am entering this recipe as a part of a contest so I here is to hoping that I win! 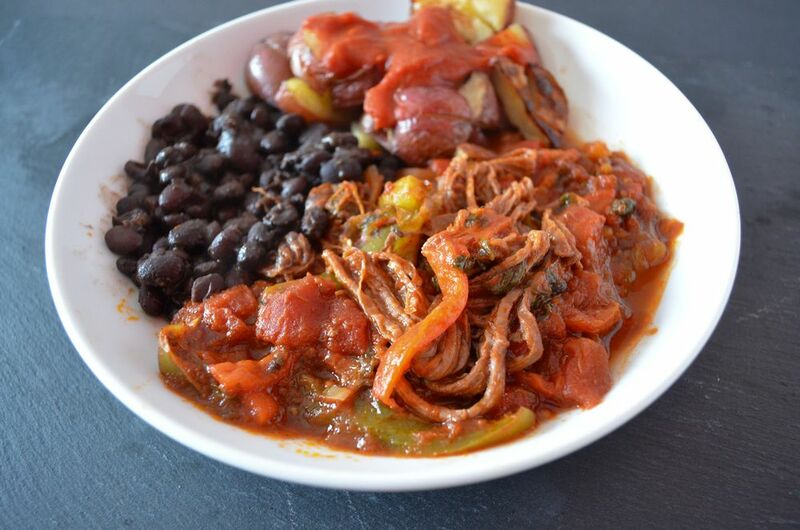 Ropa vieja is flank steak slow cooked in spices sided with patatas bravas. In a large, deep glass baking dish add flank steak and top with onions. Add minced garlic, chipotle peppers, jalapeno, bell peppers, vinegar, and cilantro. Top with diced tomatoes, tomato paste and vegetable broth. Add in oregano, cumin, paprika, and bay leaves. Cover with foil and cook for five hours until meat pulls apart and is tender. On a baking sheet lined with parchment paper layer quartered red potatoes. Drizzle with olive oil and top with sea salt. 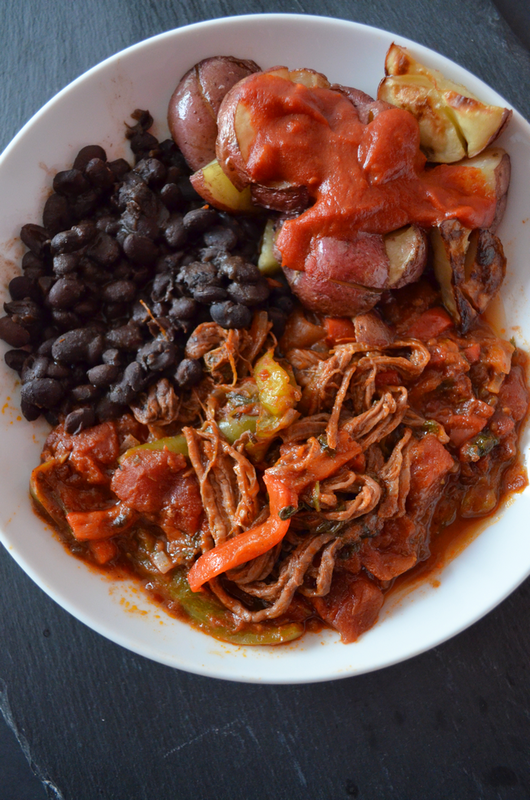 Pop into the oven with Ropa Vieja and cook for about 45 minutes until tender. Once tender broil potatoes on high for 3 minutes until browned. If potatoes are browned by just baking there is no need to broil. In a saute pan, add olive oil, minced garlic, and onion. Top with a bit of salt. Cook on medium to low heat until onion becomes translucent. Careful not to brown the garlic or onions. If they start to brown lower the heat. Once translucent add in tomato paste, water and spices. Whisk well. Add hot sauce and cook on low until sauce is thickened. Once thickened turn off heat and use to top potatoes. This sounds and looks amazing. I loved the story behind it too. Thank you for sharing! I’m pinning this now! 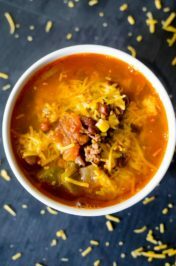 I love how you tell the story behind the recipe — this looks amazing! I saved it so I can try it out once I can have real food again AWESOME! 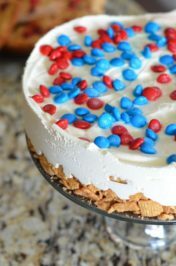 I pinned this to my Food board on Pinterest! I LOVE Patatas Bravas! When I lived in Barcelona they were one of my go-to dishes! Must try! I bet that was an awesome experience in Barcelona. I love them because they are too simple to create and the sauce is like wham! They make it with pork or beef. It really is amazing! Oh my word! This looks fantastic! 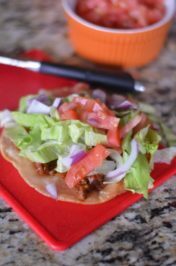 I had never heard of Ropa Vieja before but I can imagine it tastes divine 🙂 Thanks for sharing the story behind it, too!